He's only 6 years old, but Roman McConn has already helped save more than 1,000 dogs from kill shelters. He and his mom, Jennifer McConn, started the project in Texas when they lived there in 2016. His mom says the family's dog inspired her to help other pups. "In July of 2015 we adopted Luna from a Texas 'kill' shelter. I was sunk! I became heavily involved with volunteering at the local shelter," McConn writes on Facebook. Roman helped his mom make videos to spread the word and connect shelter dogs with "forever families." 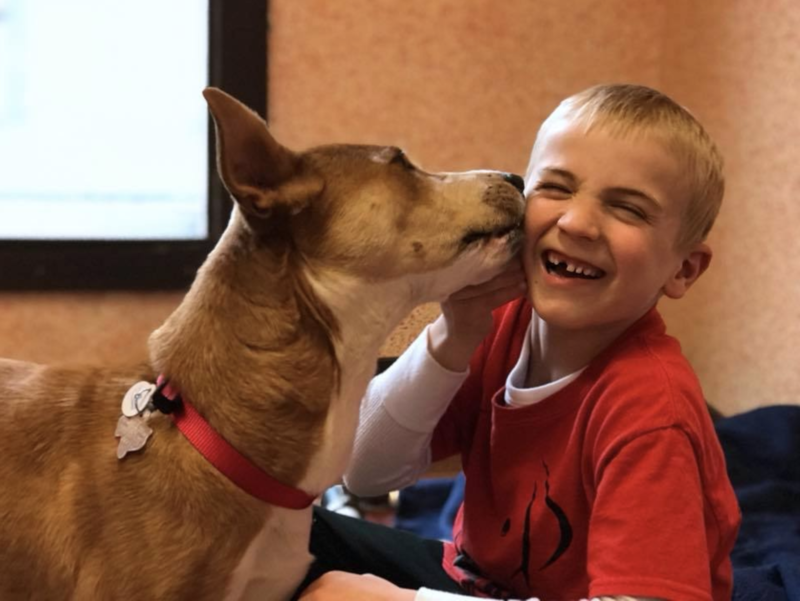 In the videos, the first-grader shows off the dog for potential adopters, explains their breed, age, and why they need to be adopted. When his dad, who serves in the Navy, received orders to relocate overseas, Roman and his mom moved from Texas to her home state, Washington -- and they took 31 dogs with them. "I would joke with Texas Rescues about an underground railroad for dogs up to Washington because the world for a dog, generally speaking, was so much better up here in Washington than down there in Texas," McConn told CBS News. This joke became a reality and Project Freedom Ride was born. The pair began raising money and helping their local shelter in Texas relocate hundreds more dogs to the Pacific Northwest. Project Freedom Ride now partners with multiple rescue shelters in Texas which save strays, unwanted dogs and dogs from kill shelters. The project helps those shelters find new families or shelters for the dogs in the Pacific Northwest. Roman helps do everything from making marketing videos for the dogs to calling families interested in adopting them. The effort has helped save 1,050 dogs since Project Freedom Ride started in December 2016, McConn says. Once they match the dogs with new owners or Humane Societies in the Pacific Northwest, Project Freedom Ride hires a transport company to get the pups across the country. The process brings the dogs safely to their new owners, but it costs about $11,000 per transport. McConn says they raise that money through donations. It is a big mission to vet the dogs, transport them and place them with families or in a Humane Society, but Roman loves dogs and is proud to have helped over 1,000 rescues -- including two dogs of his own.